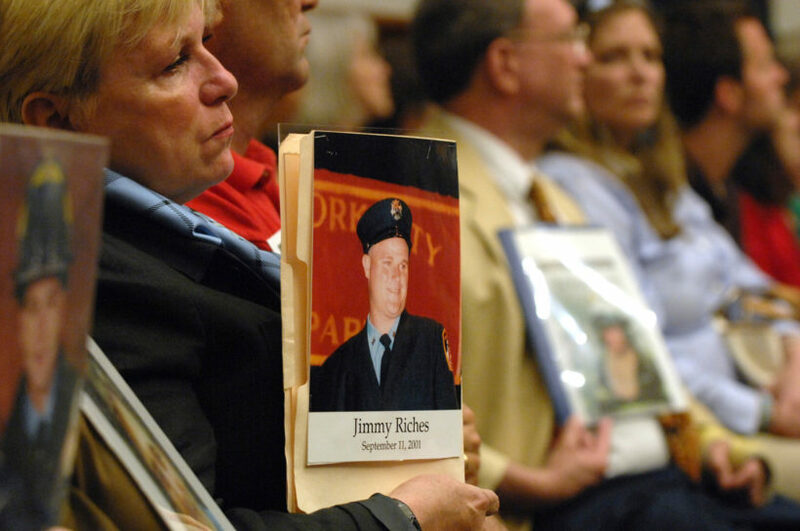 Jimmy Riches mother holds his photo at a 9/11 memorial service. (by Jim Riches, New York Post) – What Congresswoman Ilhan Omar said about Sept. 11 was disgraceful. On 9/11/01 my son, firefighter Jimmy Riches was murdered along with close to 3,000 American citizens by Muslim terrorists. I rushed to Engine 4 in Lower Manhattan when I heard what was happening. That’s where my son worked. As I came over the Brooklyn Bridge, the towers had both already fallen. All the rigs at the firehouse were gone, so I knew they were all at the World Trade Center. When I got there, I saw the death and destruction — people lying there dead and mangled. We picked up the bodies and saw how gruesome it was. Those people died a horrible death. We were there for 9 months picking up body parts, pieces. We found my son’s body six months later, March 5, 2002. He was at the North Tower. We got to bury him. People talk about closure, but that’s not closure. I’ll never get closure until my son walks through that door again. It was the worst day for me, to lose my son and all those other people. They went to work that day to help people and they ended up murdered. My son died doing his job, helping others in distress. The American public said NEVER FORGET 9/11! I think Omar owes an apology to America. She owes an apology to the families. Maybe she should talk to some of them — maybe they could open her eyes. There’s still 1,000 bodies that have never been recovered. It’s very sad that she could make such light of it. She came here from Somalia. She was educated here. We took care of her. And now she’s saying 911 was nothing? Until the time that you realize the importance of 9/11 as the worst day in American history, I call for your removal from Congress. 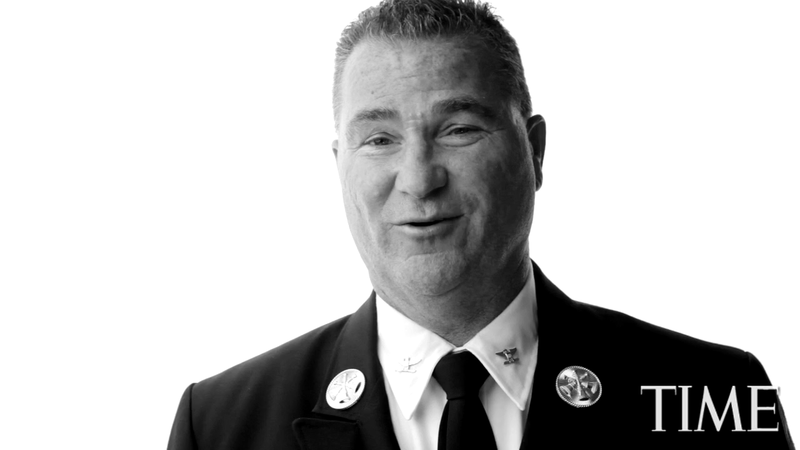 Deputy Chief Jim Riches FDNY, retired. Published April 10, 2019 at NYPost .com. Reprinted here April 11, 2019 for educational purposes only. May not be reproduced on other websites without permission from the New York Post. 1. The purpose of an editorial/commentary is to explain, persuade, warn, criticize, entertain, praise or answer. What do you think is the purpose of Mr. Riches’ editorial? Explain your answer. 2. What is the main idea of the editorial? “She came here from Somalia. She was educated here. We took care of her. And now she’s saying 911 was nothing? Do you agree with Mr. Riches? Explain your answer. Omar is a a U.S. Congresswoman. She has made many disgraceful comments in the few months she has been in office. Now, instead of apologizing for her dismissive description of the 9/11 Islamic terrorists as “some people who did something,” she is demanding that Congress support her and condemn a decorated U.S. Navy Seal. What do you think her fellow Democrats in Congress should do? 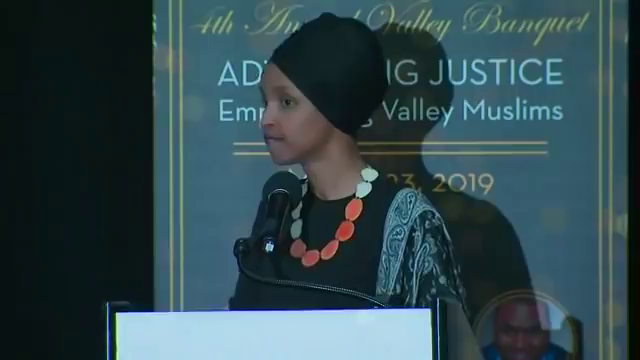 Condemn critics of Ilhan Omar’s disgraceful description, condemn her remarks, or ignore the matter entirely? Explain your answer. What do you know about 9/11? For videos, pictures and more, read Remembering 9/11 in 2018.